ATTICA, OH (September 2, 2016) Defending Lucas Oil Late Model Dirt Series National Champion Jonathan Davenport returned to his winning form by taking the feature event on Friday night at Attica Raceway Park. Davenport took the lead on lap 14 from Doug Drown, who had led the first 13 circuits. Dennis Erb Jr. charged from his 12th starting spot to finish second. Doug Drown, the defending track champion at Attica, had the home track fans on their feet for the first part of the race. He eventually came home in third. New track record holder Darrell Lanigan was fourth, and Jimmy Owens; who won the first time the series raced at Attica finished fifth. Davenport, who is currently second in the series points standings, had not finished the last three LOLMDS events, and was relieved to be back in Lucas Oil Victory Lane. “It feels good to be here again! I have to thank Kevin [Rumley] and my guys. They have worked their tails off the last two weeks. Everybody knows we haven’t been running well lately. We aren’t dead, and we are not done yet! We are just going to keep on working to find an edge,” said the 32-year-old racer. Drown bolted from his fourth starting spot to take the lead on the very first lap and held the top spot through the first 13 laps that was peppered with two cautions and a red flag during the first three circuits. Davenport took advantage of lap-traffic to close the gap on Drown, making the pass for the lead on lap 14. Drown stayed close for a while, but eventually Davenport pulled away. Erb then charged from the outside of the sixth row, challenging Drown for second. The two went side-by-side for several laps as Erb was finally able to forge ahead of Drown on lap 41. Drown had the car that nearly pulled off the upset. “There was moisture coming up on the track. I thought I had picked the right tire early on. I was looking like a genius for the first part of the race, and then it went away a little bit. Once JD [Davenport] got out in front, it was hard to stay with him. He stayed up top and my car just couldn’t stick there. Dennis [Erb] came along and we had a good race as well. To run third with these guys makes us extremely happy,” said the driver of the Leroy Hall/Hall’s Auto Sales/Swartz. 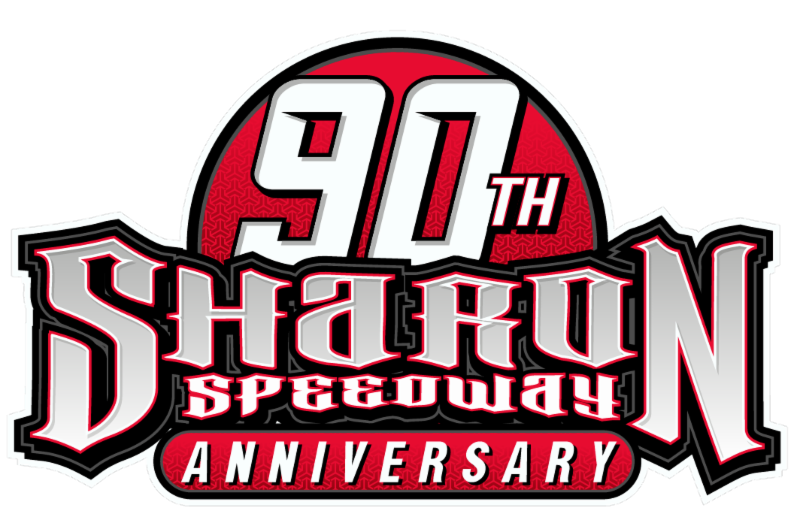 Completing the top ten were Don O’Neal, Brandon Sheppard, Earl Pearson Jr., Matt Irey, and Devin Moran. In preliminary action, Darrell Lanigan set the overall Miller Welders Fast Time (Group B) amongst the 28 entrants, with a lap of 14.187 seconds. Jonathan Davenport set the fastest time in Group A with a time of 14.209 seconds. Jonathan Davenport, Devin Moran, Darrell Lanigan, and Doug Drown won their respective heat races. Craig Vosbergen won the B-Main. 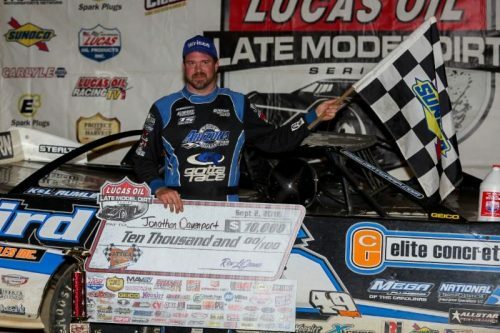 Founded in 2005, the Lucas Oil Late Model Dirt Series is the nation’s premier dirt late model sanctioning organization. In 2016, the LOLMDS will sanction 53 events in 19 states. The series is owned by the parent company Lucas Oil Products Inc. and receives national exposure through a TV package filmed, produced and edited by Lucas Oil Production Studios. LOLMDS events will be broadcast on four TV Networks including CBS, NBC Sports, CBS Sports Network and the MAVTV Motorsports Network. For more information about the Lucas Oil Late Model Dirt Series visit the official website at: www.LucasDirt.com.